Happy Earth Farm - Farmers Steve and Karen Fennell have always believed in the statement "you are what you eat". Happy Earth Farm is dedicated to providing you with the freshest products in the purest fashion. Kilburnie the Inn @ Craig Farm - Kilburnie is a most welcoming and relaxing B&B with the aura of a small boutique hotel. Come and experience true hospitality in the quiet and graceful comfort of this AgroBnB. 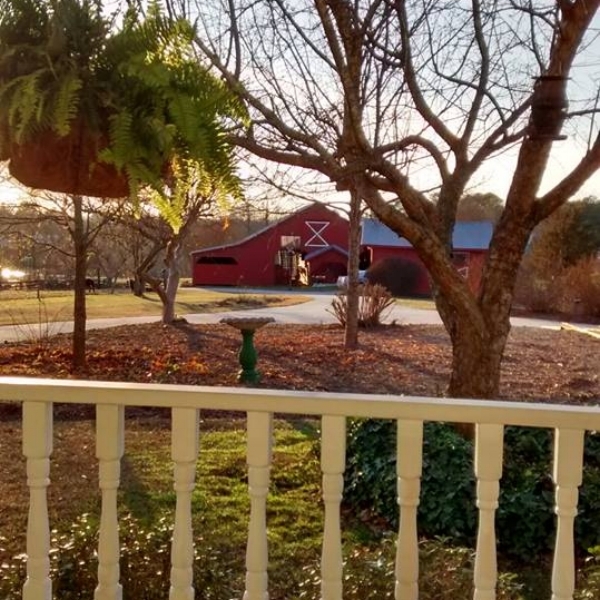 Chattooga Belle Farm - The farm is always open for foot traffic, disc golf and simply enjoying the view, though if there is a wedding, accessibility to some parts of the farm may be limited. Farmhouse at Bush River - Come and visit Ireland in the heart of South Carolina conveniently located in the college town of Clinton. You will immediately relax when you encounter rolling green farmland. Thus Far Farm - We have five lodging options so that every guest can be comfortable. A thoroughly updated house with a vintage personality, two tiny houses & RV sites. The tiny houses are off the grid charming. Sunrise Farm B&B - Sunrise Farm B&B is a beautifully restored c. 1890 Victorian farmhouse with ten acres of peaceful rolling hills. We offer serenity in the foothills of the Blue Ridge Mountains.